Considering this counts towards the 3 unique-equipped Draenor crafted items I can't quite see the benefit engineers get from using this over the tailoring crafted hood. 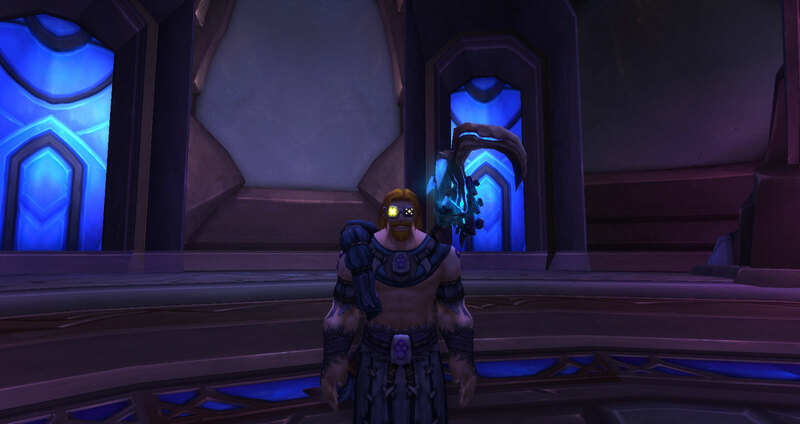 Slightly disappointing considering Engineering goggles are usually one of the main perks of the profession, especially at the beginning of an expansion. For the random enchantment I got 135 versatility and 102 multistrike. Looking on AH it appears that's default when creating these? Just interested in hearing if anyone got anything different, just to see what other options are available. I will try to change these today and update this. For those who are wondering how to upgrade the goggles, you have to buy this schematic from Pozzlow. With this you can upgrade it to tier 2, and with this you can upgrade it to tier 3 (from tier 2). The tier 3 upgrade schematic will only appear at the vendor after you learned the tier 2 upgrade. These goggles are driving me mad. All I want is goggles with Crit. I've rerolled them 5 times with Didi's Delicate Assembly. I started with Haste/Versatility and rerolled to Haste/Multistrike, Haste/Mastery, Haste Multistrike, Haste/Mastery, and then today I rerolled them and they literally just stayed Haste/Mastery. This is exactly what I was afraid of with this random enchantment w/ reroll crafting system. RNG is just burning up my cooldown-limited crafting mats and I have nothing to show for it but a pair of goggles that continue to be sub-optimal for my spec. I'd rather have reforging back than deal with this. IMPORTANT: Don't worry about the requirement of ilvl 675 in the description of the upgrade 4/4 for this Lens when you mouse over Oglethorpe's Octagonal Lenses . It's is just a type mistake I guess because I just applied to my 3/4 Plasma Mechshades ilvl 670 with no problem. Lens Upgraded 4/4! Vyola happy! Wondering how many cloth-wearing engineers are out there... It feels to me like it's just another crappy job from Blizz: little chance to sell it, no chance to send it to your alts for tmog (unless they already have engineering which is most likely they can anyway make this).